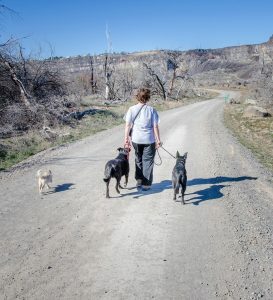 Before I could not walk my dogs all together and getting them in and out of the truck for hikes was insanity. Now, my dogs calmly enter the truck and quietly exit. I can walk all 3 at once!